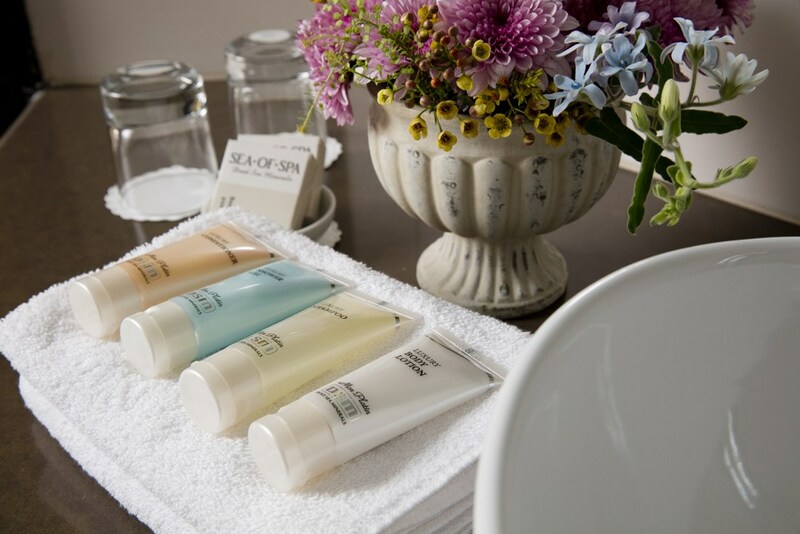 Our Tuscan-style Deluxe rooms, offer a pastoral Galilean view from the balcony window, and have a peaceful, charming atmosphere thanks to the softly-colored décor, modern bathroom and the feeling of nature coming in from the outside. 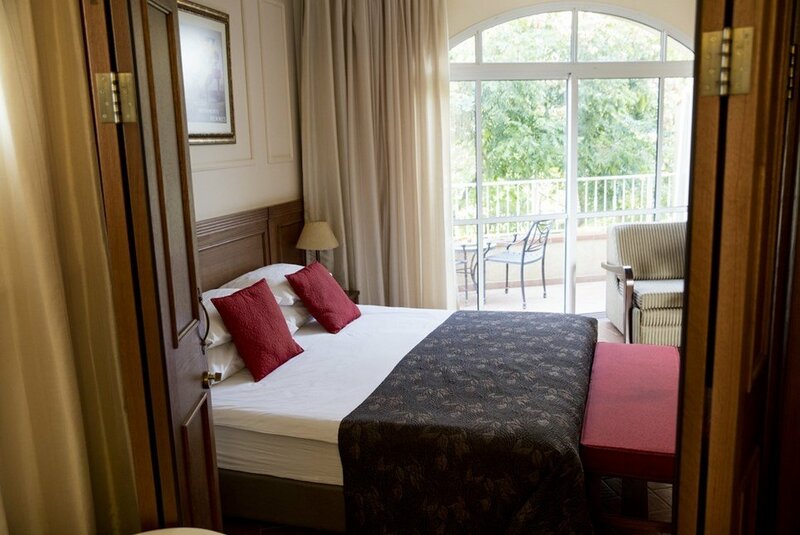 Each room has a double bed that can be separated into two singles. 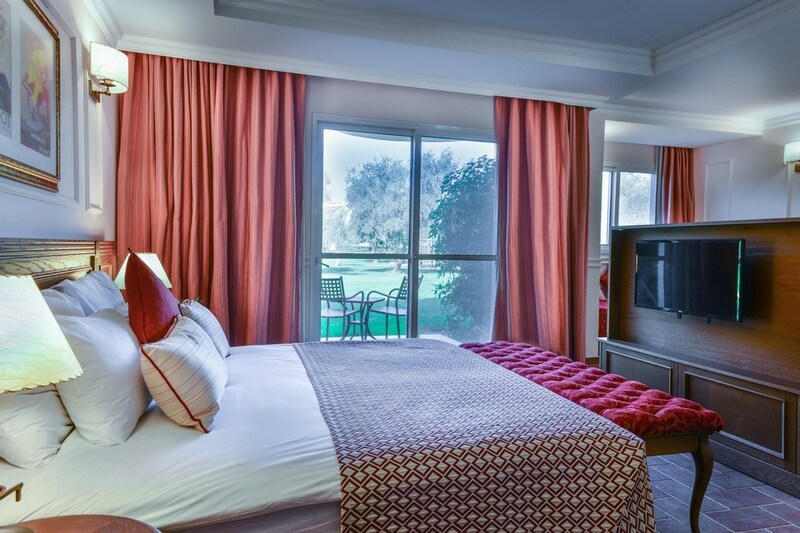 Our deluxe rooms are located in various buildings which are dedicated to famous operas, to the great Hebrew poets, to stars of jazz and blues, and to unforgettable American musicals. 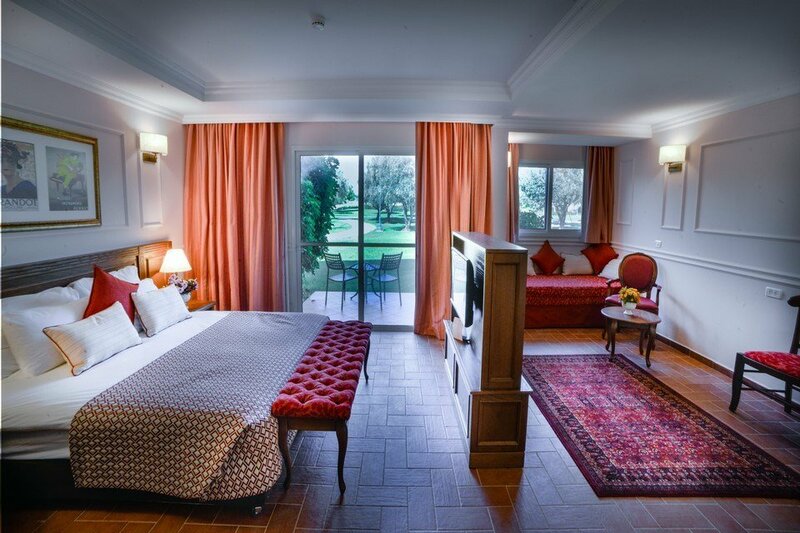 Large and very spacious, our Grand rooms offer all the luxuries necessary to make your stay a relaxed and relaxing experience. 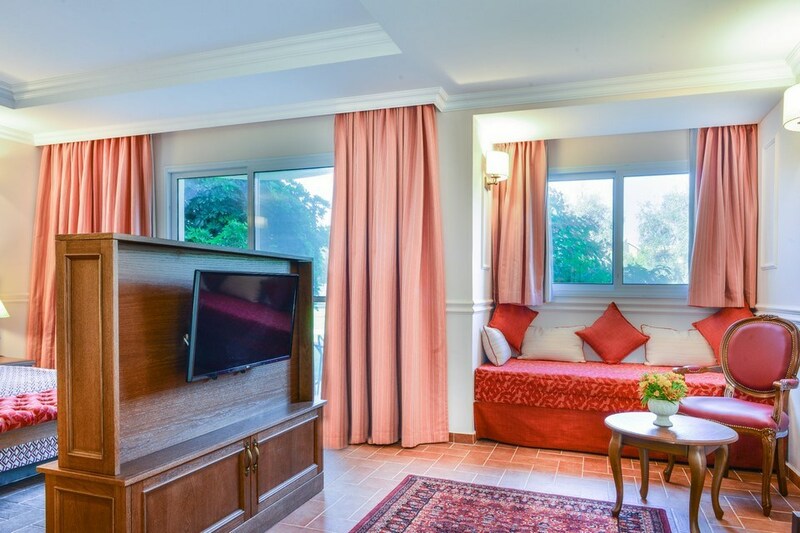 A large window takes up an entire wall, offering views of the Golan Mountains and a beautiful olive grove to the east, or the Naftali Mountain Range to the west. 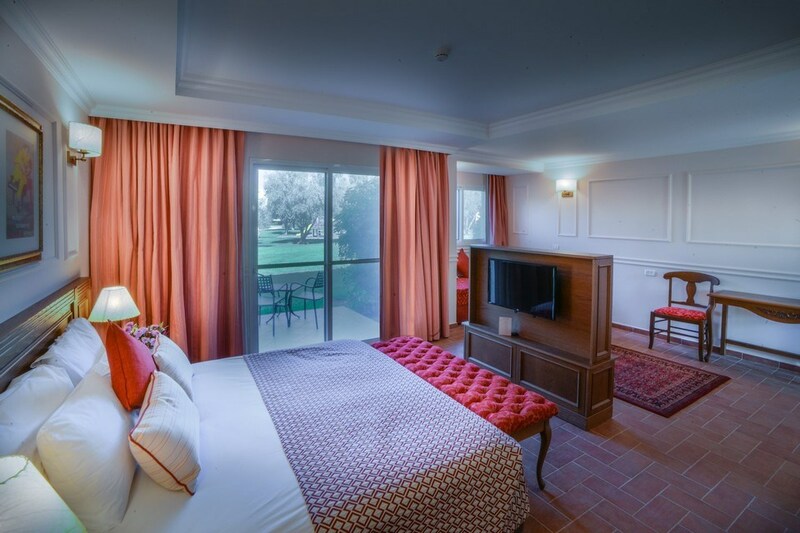 The rooms each have a double bed that can be separated into two singles, and a double sofa bed. (Rooms on the ground floor have two sofas). 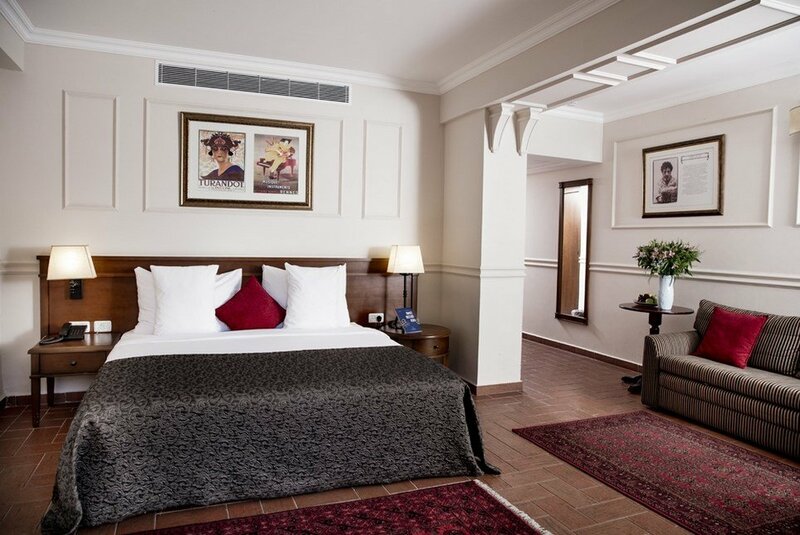 Grand rooms are all located in one building dedicated to unforgettable painters and the fairytales that accompanied our childhood. 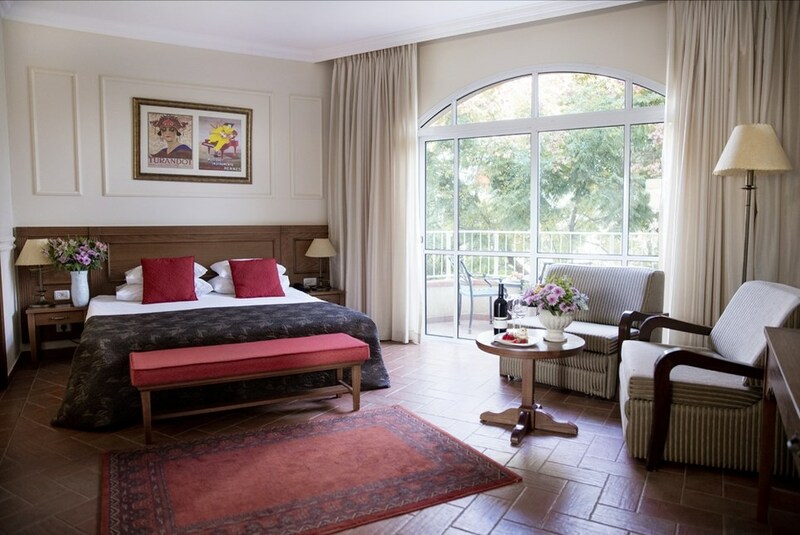 Our Premier rooms are large and spacious, with a large walk-in wardrobe, creating a particularly luxurious feeling of freedom. 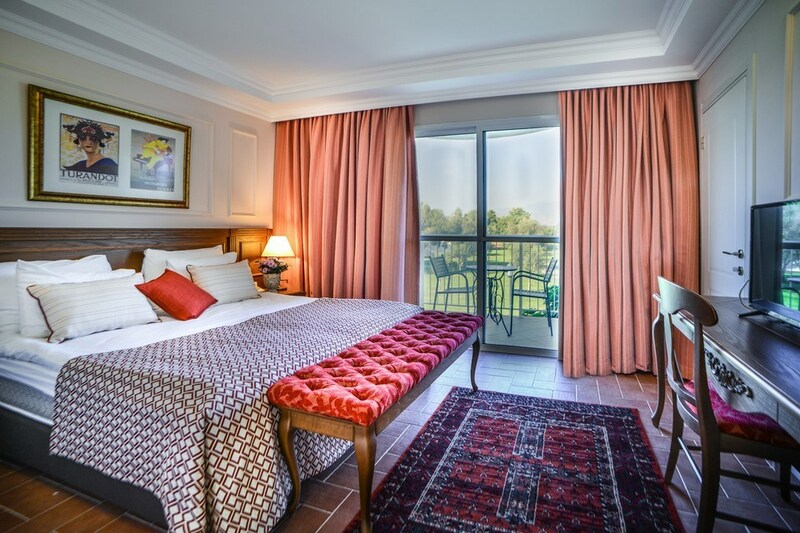 The eastern balconies of the Premier building open onto a spectacular lawn and the Golan Mountain Range, the western balconies overlook an olive grove and a well-tended lawn, against the backdrop of the Naftali Mountain Range. 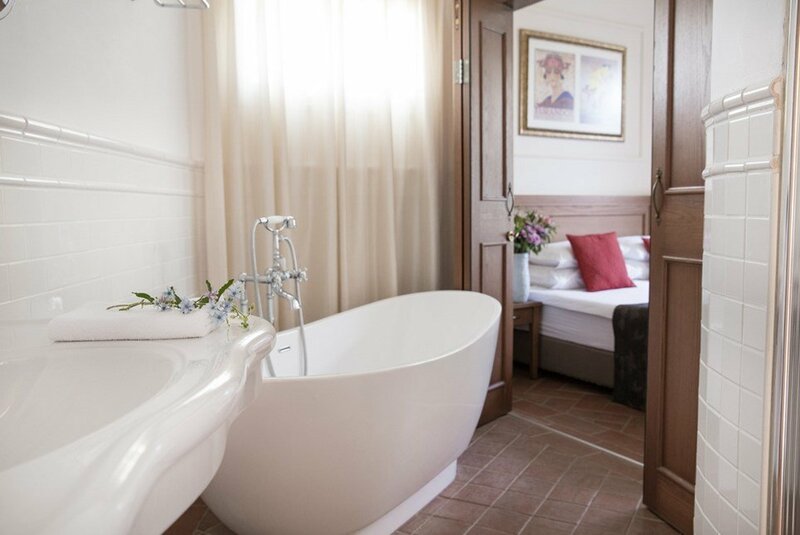 At the northern end of the building there are two romantic rooms with a French bathtub next to the double bed. 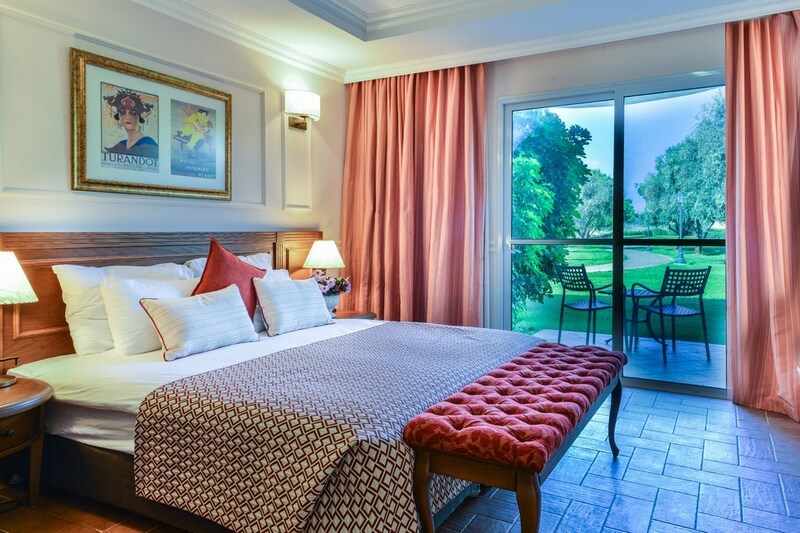 The rooms each have a double bed that can be separated into two singles. Some have a sofa that opens up to an additional double bed and some have an armchair that opens onto a single bed. The Premier building is dedicated to the giants of classical music, and to Hebrew singers and bands. 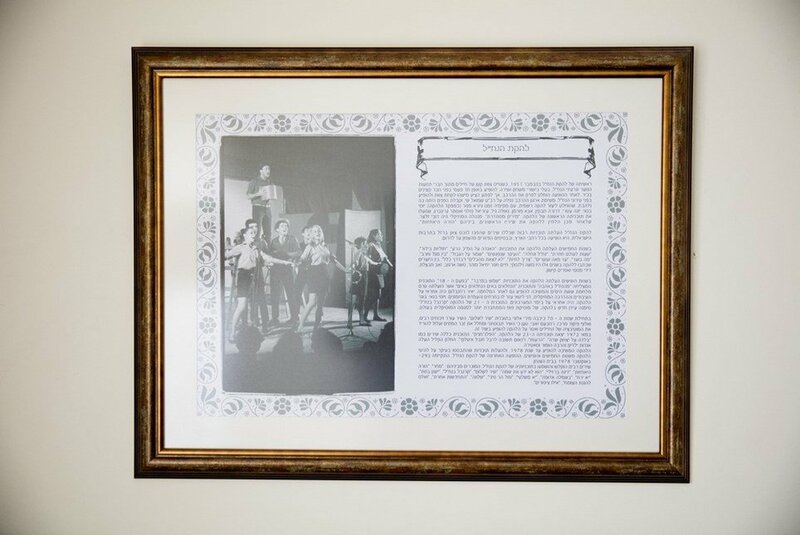 Superior rooms are located in different buildings and are dedicated to famous operas, the music of Elvis Presley and the Beatles, to playwrights of all ages, Hebrew writers, and giants of jazz and the blues. They feature Italian-style flooring and balconies that open out onto either a lawn and olive grove, or a lawn and landscaped gardens. 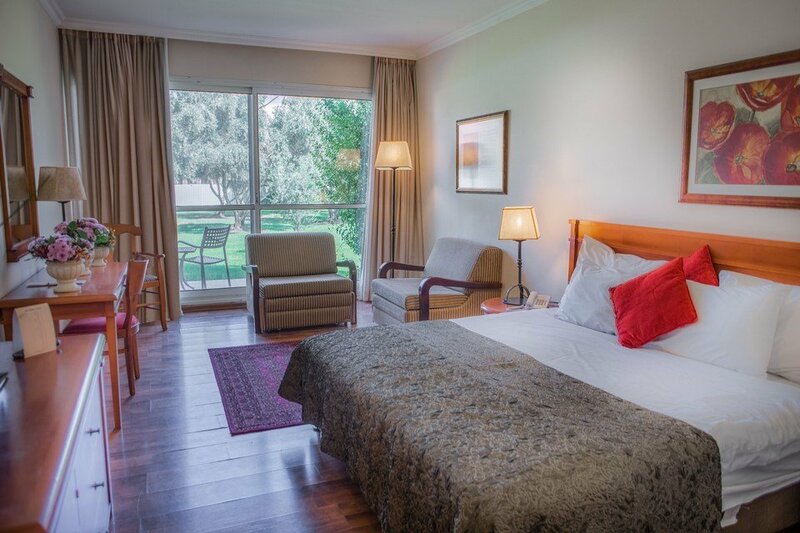 Each room has a double bed that can be separated into two singles, and a double sofa bed which opens into an additional double bed. 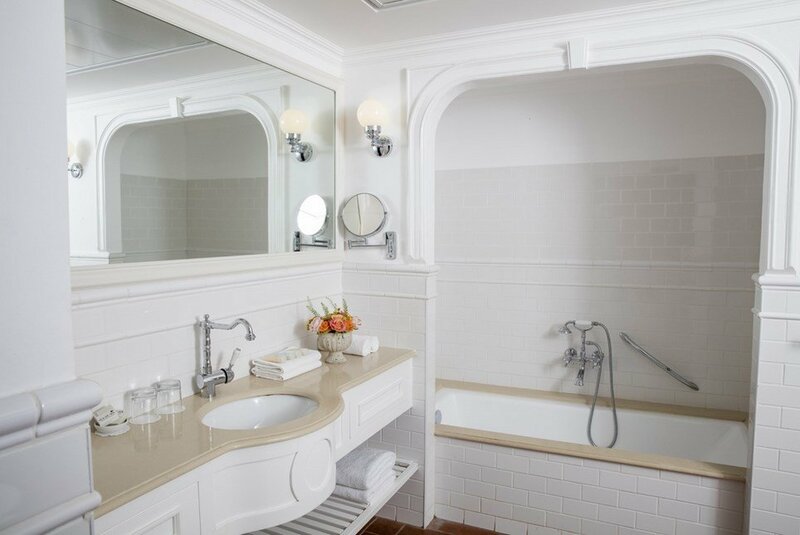 The oversized bathroom is decorated in a Tuscan style and features a separate glass shower stall. 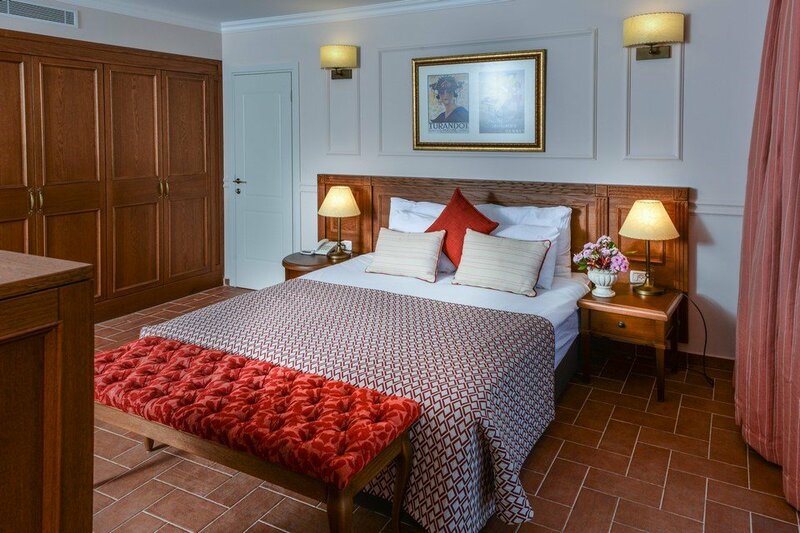 Our elegant and spacious Boutique rooms are decorated in a classic country style, characterized by rich materials, fabrics, colors and elements inspired by nature. 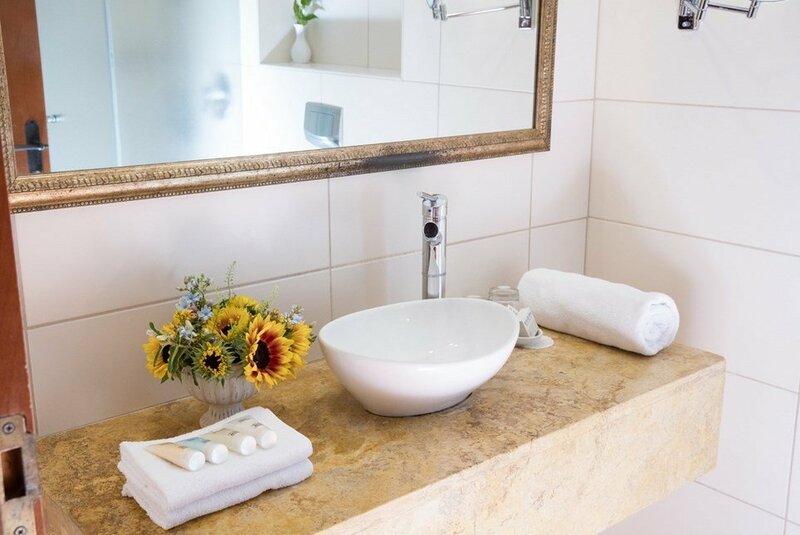 The connection to nature and the view is further enhanced by the fact that the Galilean landscape can be seen through the spacious bathroom that opens into the room. 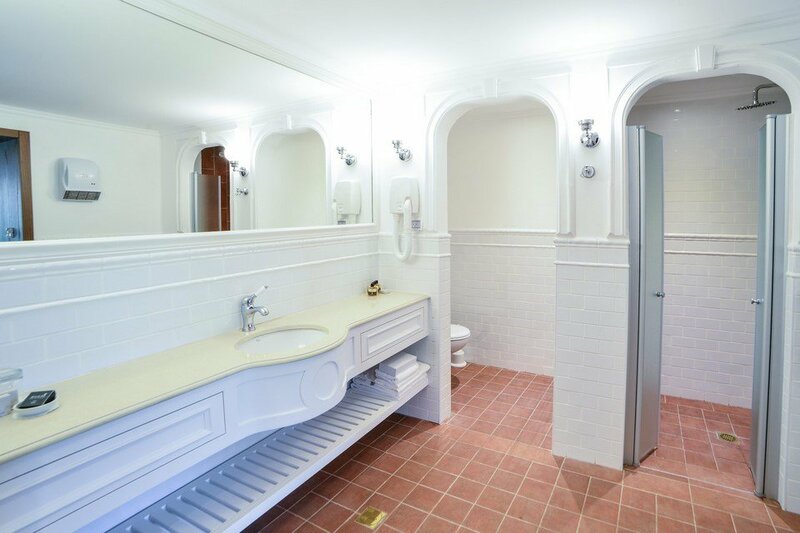 The bathrooms themselves are tiled with Italian ceramics, and some feature a French bathtub. 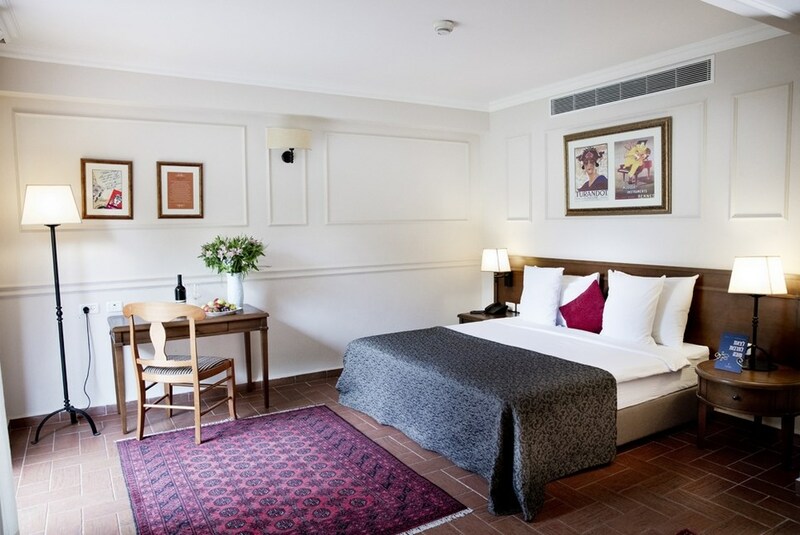 The rooms have a double bed that can be separated into two singles, and most have inter-connecting doors, making them suitable to accommodate families. 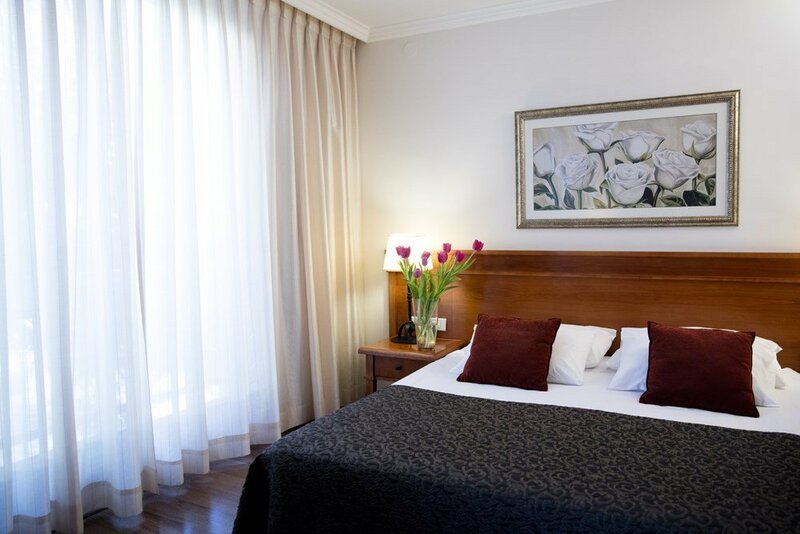 Boutique rooms are located in various buildings, and are dedicated to the giants of world literature, unforgettable Hollywood stars, the great opera singers and famous film directors. 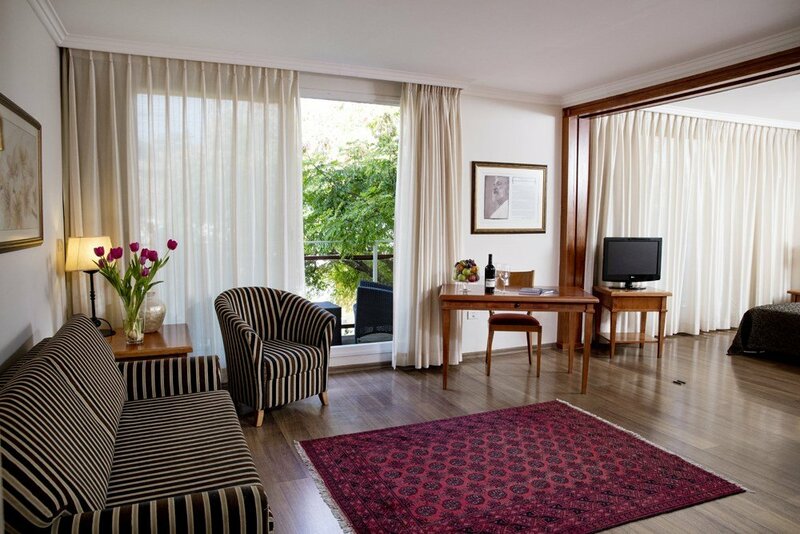 Suites offer a quiet and peaceful space, with large windows overlooking stunning views. 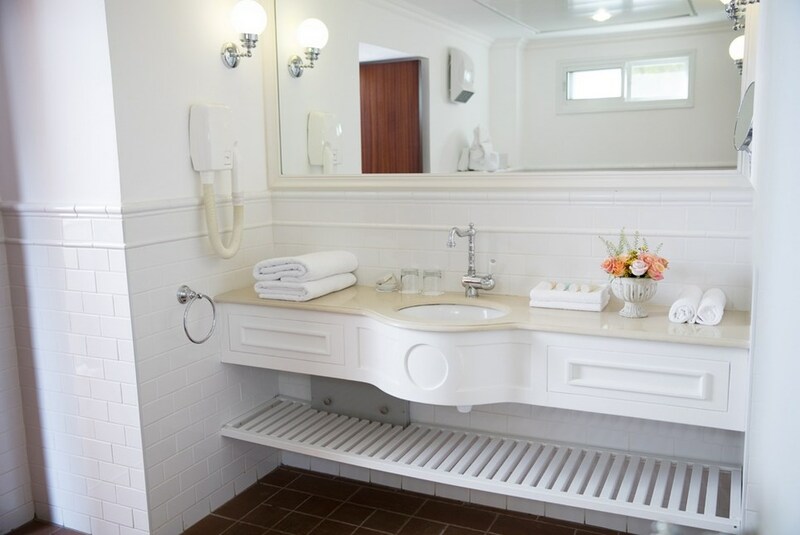 In each one, the private sleeping space is separate to the living space with its comfortable seating area. 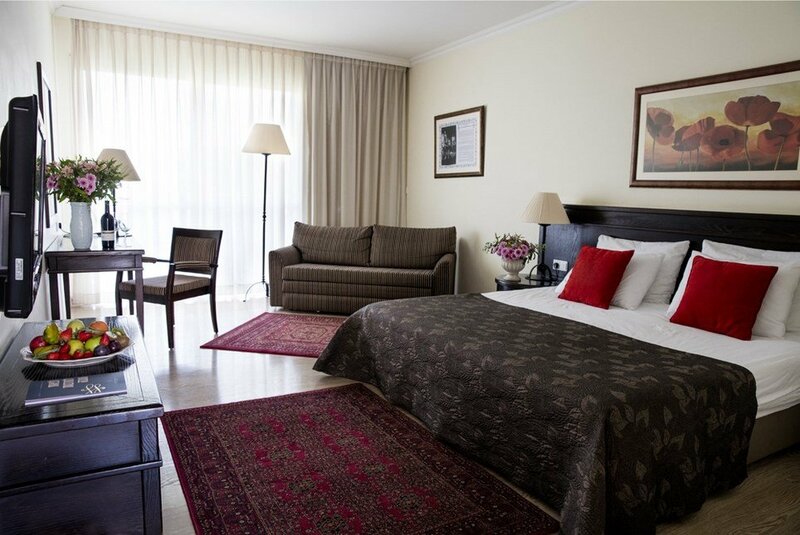 The Suites are located in various buildings, with views of the Naftali Mountain Range, the Golan Heights, the Hermon and large lawns. 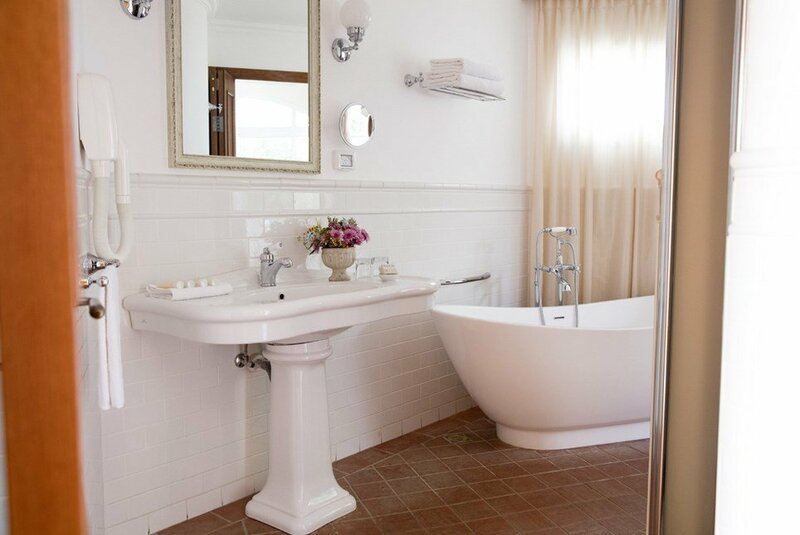 The spacious bathroom is tiled with Italian ceramics and has a separate shower stall or a shower in a large bathtub. 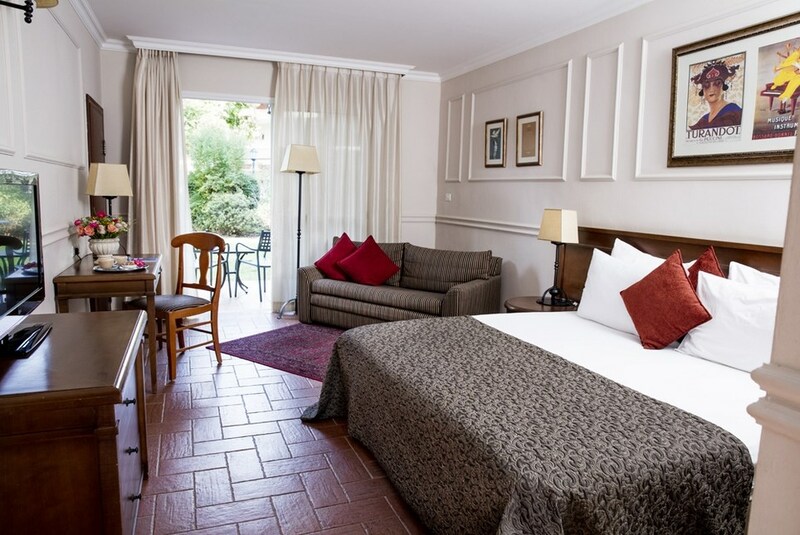 The rooms have a double bed and a double sofa bed. Some rooms have two armchairs. 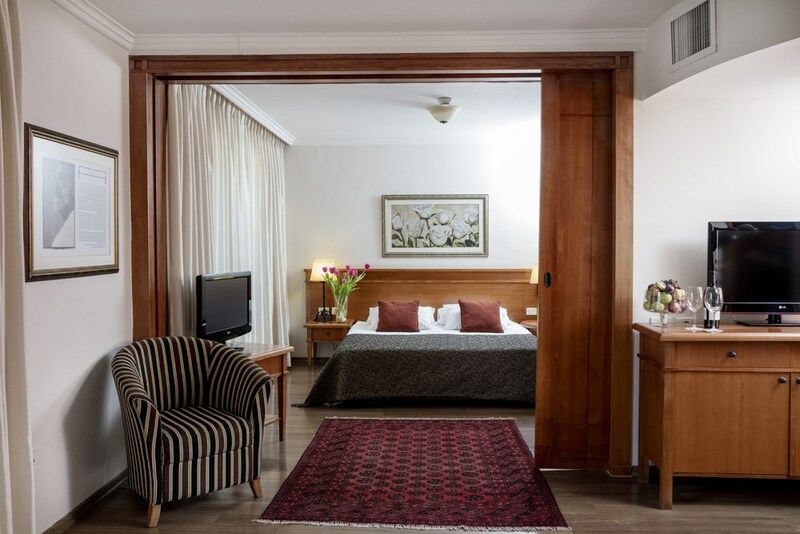 The Suites are dedicated to Israeli writers and poets, French painters, children's fairy tales and renowned Israeli sculptors. 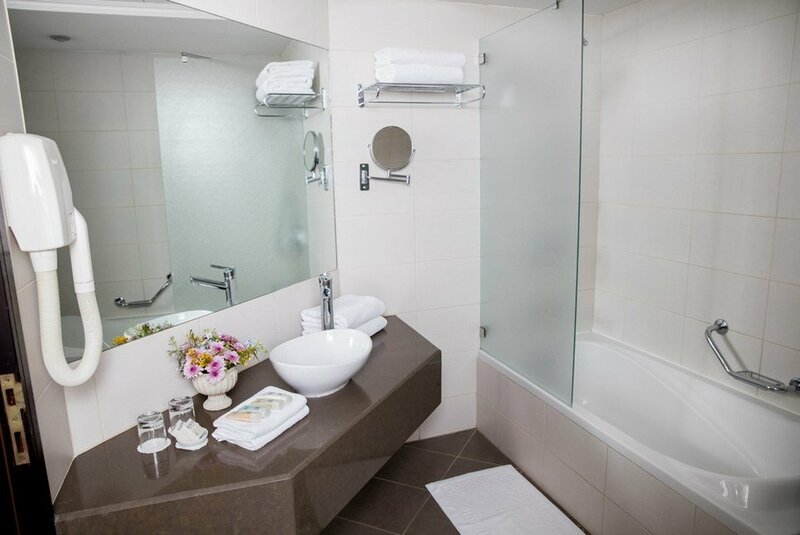 Junior Suite rooms are on the ground level. 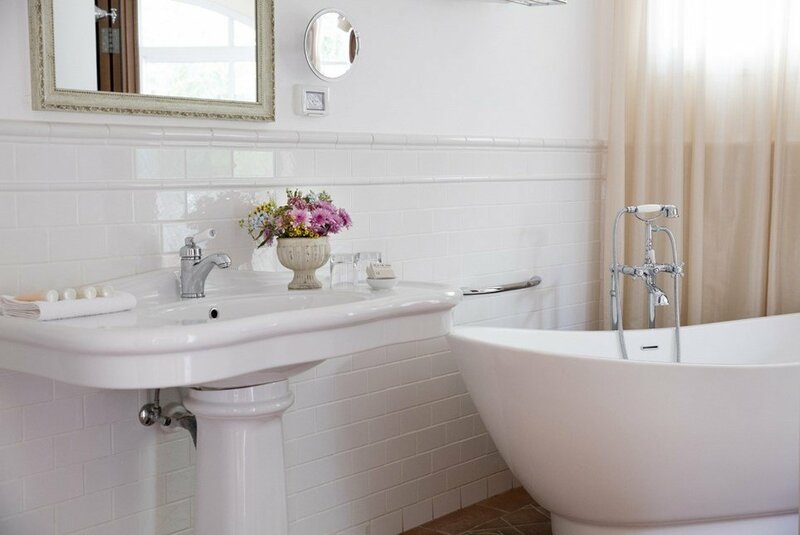 Large and spacious, they are decorated to an exceptionally high standard in a classic country style, characterized by rich materials, fabrics, colors and elements inspired by nature. 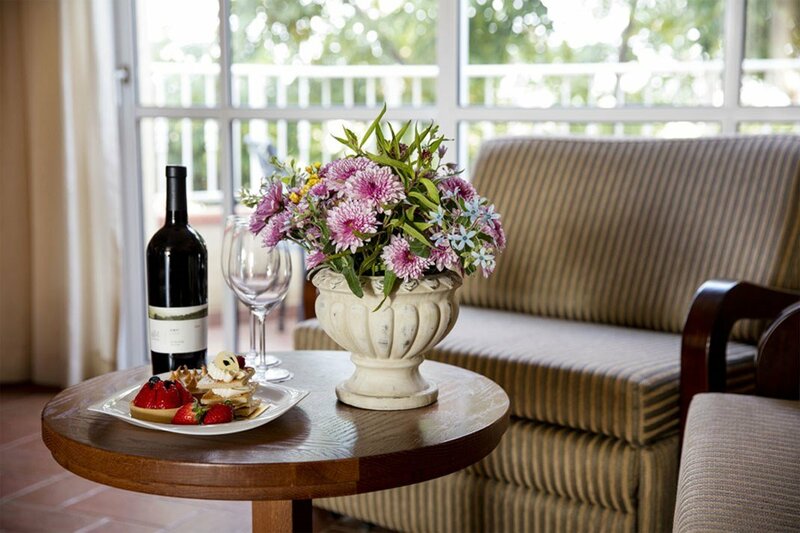 The balconies all open onto a large lawn with a well-tended olive grove. 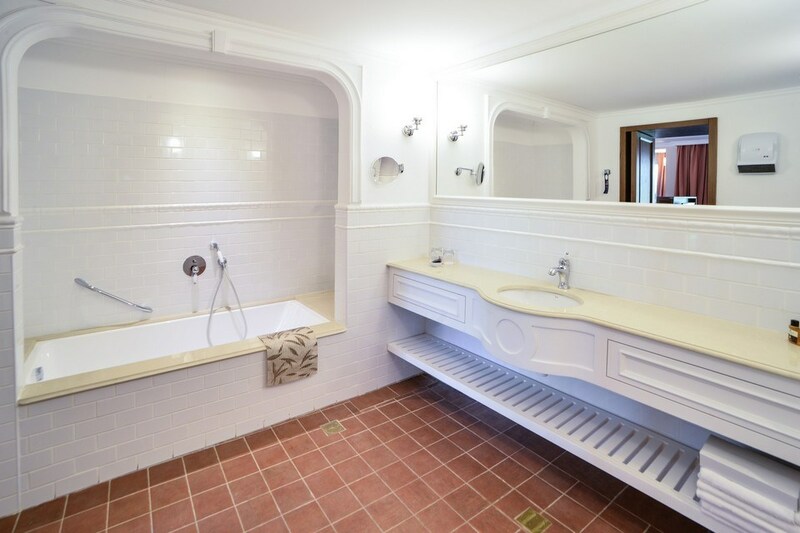 The bathroom is especially large. 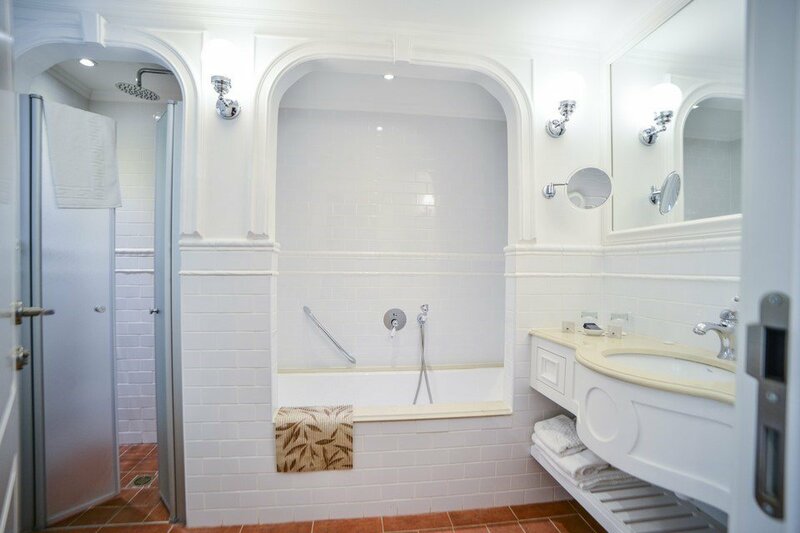 Tiled with Italian ceramics, it has a separate bath and shower stall. 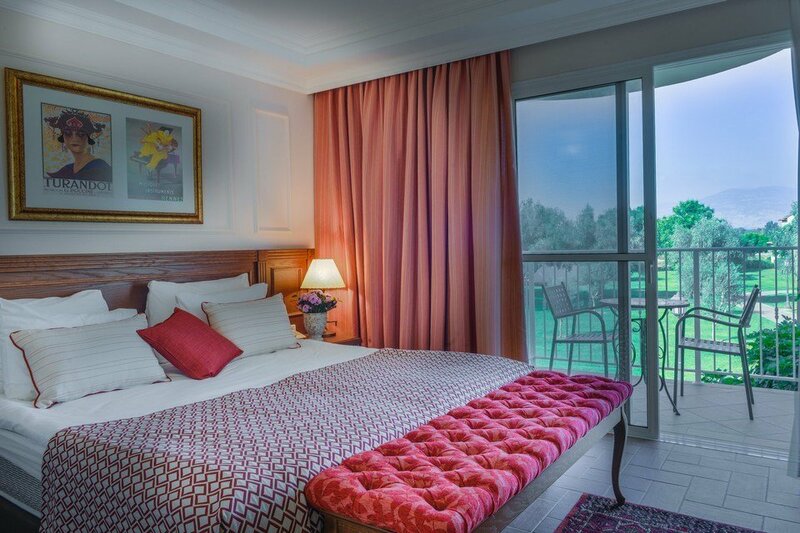 In our Junior Suites, there is no separation between the private sleeping area and the living space. 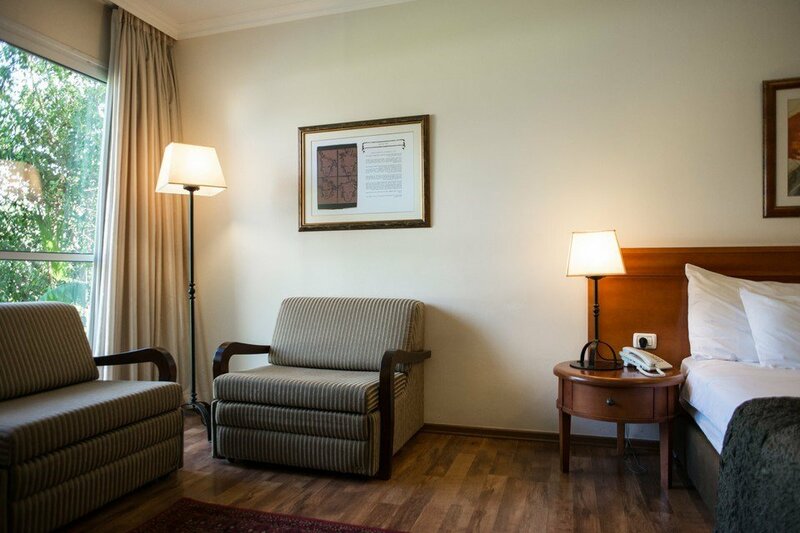 The living space is furnished with a sofa and a comfortable seating area. 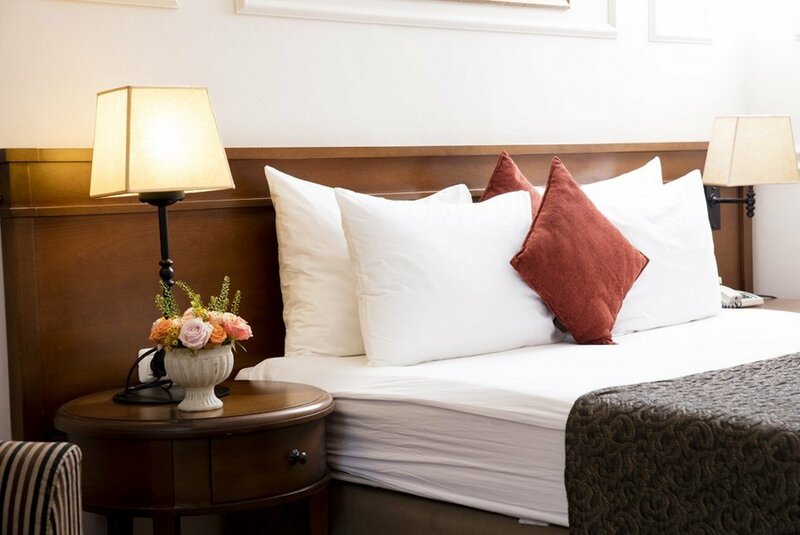 The double bed in the room can be separated into two single beds and the sofa opens out into an additional double bed. 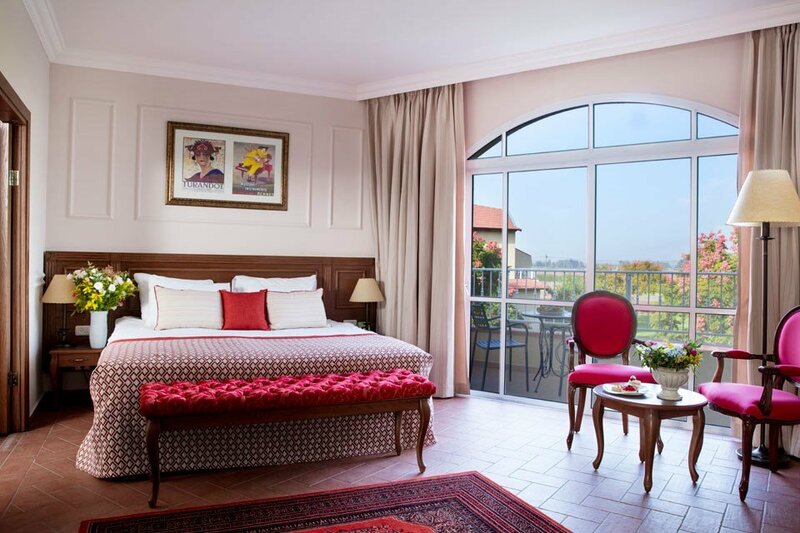 Junior suites are dedicated to Israeli writers and poets (AB Yehoshua, Miriam Yalan Staklis), French painters (Gauguin and Cezanne), children's fairytales (Alice in Wonderland, The Emperor’s New Clothes) and Israeli sculptors (Tumarkin, Agam, Karavan and Kadishman).